Himalayas are the abode of saints, sages and yogis and every mystic has visited the region some time or the other in search of his or her spiritual quest. We are giving a collection of some of the wanderings of few mystics who have wandered in these lofty mountains in search of the ultimate truth. 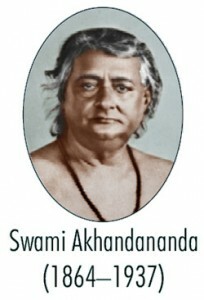 So here you go with some jottings as collected by Pandit Ram Dhiraj Mishra through his sources and belongs to a Saint known as Swami Akhandananda so in his own words he says…. I have no aids now, other than my faint memories, to help me write down an account of my wanderings. I have to remember those receding events and put them in a coherent form. I had then that I would one day be writing a book of my wanderings in the Himalayas. I have kept, therefore, no jotting of those wonderful wandering. In fact, it was my purpose to try and forget whatever I used to see. I have taken up this writing now only at the persuasion of many of my friends. I would feel gratified if this account arises in some one’s mind a desire to visit those holy places in the Himalayas or adds to his information about those distant lands. It was perhaps the seventh or eighth month after the Mahasamdhi of the Master, the year of the golden jubilee of Queen Victoria’s accession, probably towards the end of February 1887 that I first set out a pilgrimage to Northern India from the Baranagar Math. On the way I visited Gaya, Banaras, Ayodhya and Naimisharanya and reached Haridwar. Besides these places, I halted only at Lucknow and Sitapur. It took me about two or three months to reach Haridwar. I remember that I reached Haridwar before the Sankranti, the last day of Baisakh. From there I went on to Rishikesh, reaching there in about 3 to 4 days. I had fulfilled a long-standing desire and a great feeling of peace overcame me. There is no other place so pleasant and holy as Rishikesh in this region of the Himalayas. This is the gateway to the pilgrimage to Badarikashram. There is a motley crowd of monks and ascetics belonging to various denominations in this regain, from Kartika up to Dasahara. Many rich people come here during the month of January (Magha) every and feed the monks and engage themselves in various charitable services to them. There is a place named Tapovana near Rishikesh. A variety of rice known as Bastmati is particular fields round about this village. The grain of this rice is very fine but it puffs a good deal when boiled. The cooked rice looks snow-white and its fragrance lingers throughout the day. The people there believe that this rice is grown in some particular fields only on account of the boon of an ancient sage. This rice is highly esteemed in those parts of the Himalayas and is sold at the rate of four seers a rupee. I do not know whether the rate have changed during the course of these many years. Whatever it be, there is no other variety of rice which would beat this variety in aromatic excellence. The Bharata Temple is the main shrine in Rishikesh. The Raja of Tehri has made an endowment in favour of this village for the daily worship in the temple. I learnt from the abbot of this temple that they have to send some Basmati rice for the Rajas and Maharajas in the Punjab every year. From here are seen the eternally snow-clad peaks of the Himalayas. The holy Ganga flows over huge rocks, and the surrounding forests resound with its rushing waters. The Ganga turns from here to the plains to bless the people of this great land. The holy atmosphere of Uttarakhand charged every particle in my body. My heart was full of joy unspeakable. I thought to myself that the moment. I had entered the Uttarakhand, my heart was filled with joy. What sublime happiness would there be awaiting me in the inner precincts of this holy land? For an aspirant, Rishikesh is almost a heaven. Even the Siddhas are moved at the recital of the greatness of Rishikesh. While at Rishikesh, I stayed in a hut of a mendicant. I came to know very intimately a few Punjabi monks. They were open-minded and large-hearted and this made my stay in Rishikesh very comfortable and pleasant. Meditation, discussion about the self and reading of the Upanishads-these were our only preoccupations in those days. We could not think of uttering any worldly word in that extremely holy land. My stay at Rishikesh is both indescribable and unforgettable. I decided to go to Badri and Kedar via Dehradun, Mussouri, Jamnotri and Gangotri. A Punjabi monk who used to spend rather lavishly was pressing me to accompany him to Badri Narayan. He told me that it was very difficult to travel in those hilly and lonely regions, without enough money in hand. Thus he tried to deter me from undertaking this journey by saying that I had not enough money to travel in this region. He had plenty of money and he had one disciple-a Dasanami Naga. The monk had given many feasts to more than a thousand monks on a number of occasions from the month of Magha (Jan-Feb) onwards. But he could not bait me and I left Rishikesh and started walking all the way to Dehradun. During my visits to the holy places in the Himalayas, I was often wonderstruck with the beauty, grandeur and serenity of some of those places. A mere recollection of those days now stirs up every fibre of my being and a stream of serene and holy thoughts bubbles up within me. The memory of my visit to Badarikashram is one of them. I would like, therefore, to write something about it here. For the last few years a large number of Bengalees are visiting Badarikashram every year. It was quite different in those days. There were few pilgrims from Bengal, the majority being from the Punjab. The educated Bengali Sannyasins and other young tourists have written a lot in magazines about their wanderings. Their writings have made people aware of the main pilgrim spots in the Himalayas. But it is a fact that we get different views about places in the Uttarakhand from monks and pilgrims who visited these places at different times. The same places might have changed somewhat and been described differently after a period. It is also true that a place might be described very differently, depending upon the age, attitude and standing in life of the narrator. We are always, therefore, eager to hear different things about the place in the Uttarakhand. Those who went to Badarikashram years ago, via Manbhang and Chitbhang, would describe their journey in a way different from those who might have visited it recently. The pilgrims of today would, by no stretch of imagination , be able to visualise the difficulties which pilgrims of bygone days had to surmount. They had to walk up steep and slippery paths. The very names Manbhang and Chitbhang are significant. Why go so far! Even those who had gone there by some hilly track, before Haridwar become connected by rail, would not enjoy the same grandeur and scenic beauty. They will not find the rope bridges on the way to Gangotri and Badri-Kedar now. There are metalled roads and pucca bridges everywhere. So the pilgrimage to Badri-Kedar is not very difficult now. As a result, people of all ages, young and old, visit those places every year. This has affected the holy atmosphere there. Formerly we could not hear of a thief among the hill people in the Uttarakhand. Now such a situation prevails only in remote places in this area where the local people do not come in contact with the pilgrims. The behaviour and demeanour of these hill people change as they come in contact with the urban people of the plains. I hear that these hill people have now lost much of their innocence and kindliness. Pilgrims, who come to Badarikashram by the metalled road and return after paying homage to the deities, remain almost ignorant of the beauty and grandeur of the Himalayas. They cannot get an idea of the serenity, quietness and the happy and pleasant atmosphere of this divine region. Those who think of staying for a few days at this place, and try to discover the sublimity of the interior of this land, can get glimpses of it.